Sam Clark from Moro - not only cooking but chatting to the crowd too! 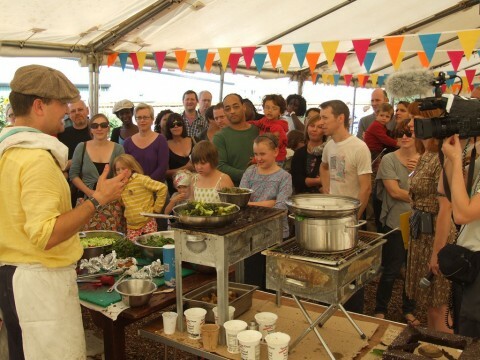 There are loads of nice pictures of the Harvest Festival event, including all the competition judging and Moro's lovely cooking. I've put a good selection up on Flickr here. If you like to follow progress on the site you might also want to join our shared Abbey Gardens Flickr Group. 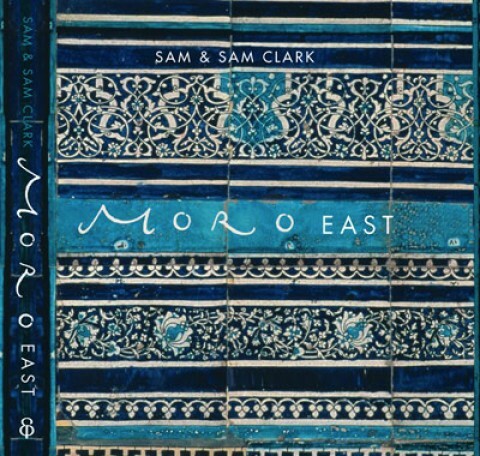 We're REALLY pleased and excited to announce that Sam & Sam Clark the owners and chefs at the fantastic Moro restaurant will be cooking live at our Harvest Festival event on September the 12th. We can't wait to see what they will do with all our fresh veg! They recently published a new book 'Moro East' with recipes inspired by the produce grown on their own East End allotment so I'm sure they won't be short on good ideas ... they even seemed excited by the mention of our challenging Kohl Rabi mountain.